This 4 hour course allows you meet half of your total yearly continuing education requirements online by covering updates to Chapters 4, 8, & 9 of the 2017 NEC. 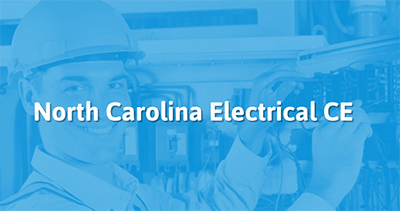 We will start with Chapter 4: Equipment for General Use, including updates to topics such as switch connections, controlled receptacle marking, extra-duty outlet box hoods, and generators. For the last section in the course, electricians wrap up this course by studying the changes to Chapter 8: Communication Systems, which covers radio, tv, and broadband systems. Chapter 9: Tables, and Informative Annexes, which contain information that an electrician would utilize on every job.